I think pretty much every little girl loves the movie Frozen and Mia is no exception! Since she discovered the movie last year, she loves anything to do with Anna and Elsa and regularly plays with her different Frozen toys. Last year we were really lucky to go and see Disney’s Frozen On Ice which was an amazing experience and Mia ended up with a lot of merchandise from the show to take home with her as well as a meet and greet with Anna and Elsa themselves! 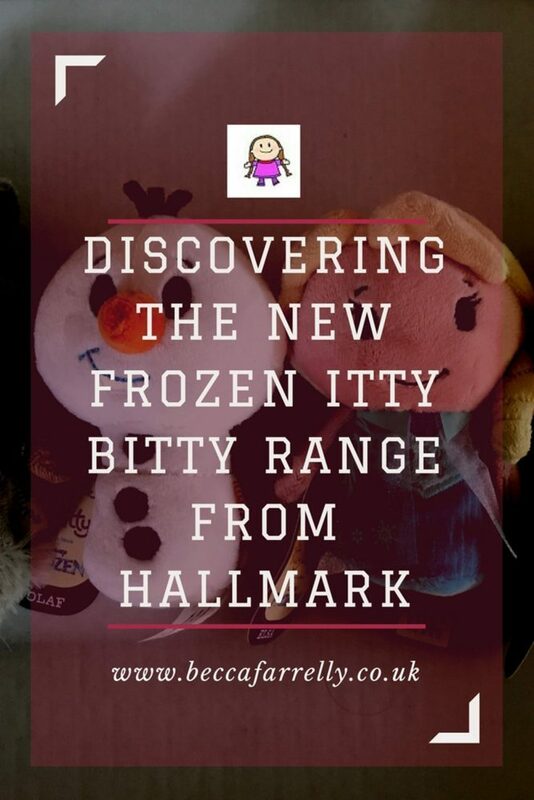 We were recently contacted to see if we would like to view Hallmarks brand new exclusive range of Frozen Itty Bitty’s, small plush toys, and Mia was really excited to see what they looked like! 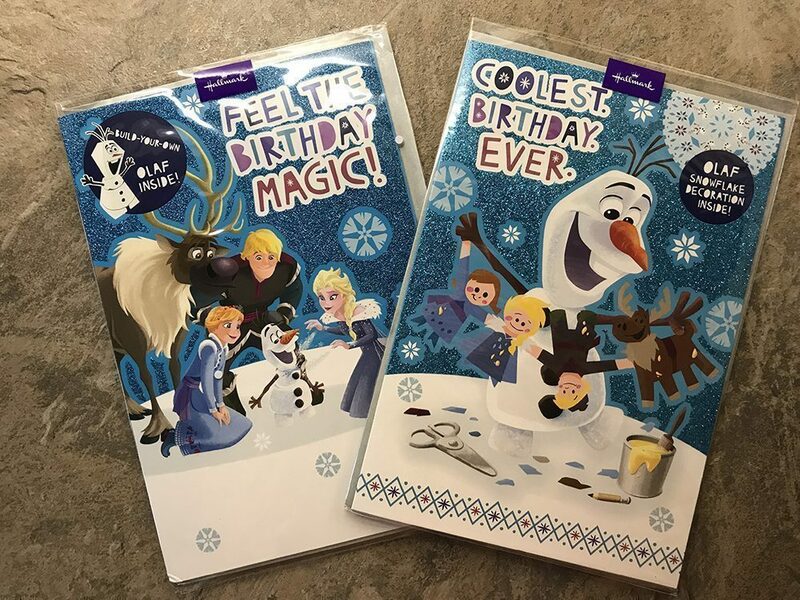 Hallmark is probably the most well-known card creators in the UK and has been creating and selling cards for over 100 years now! Alongside their beautiful range of cards, they also have a variety of products, which includes their Itty Bitty collections. 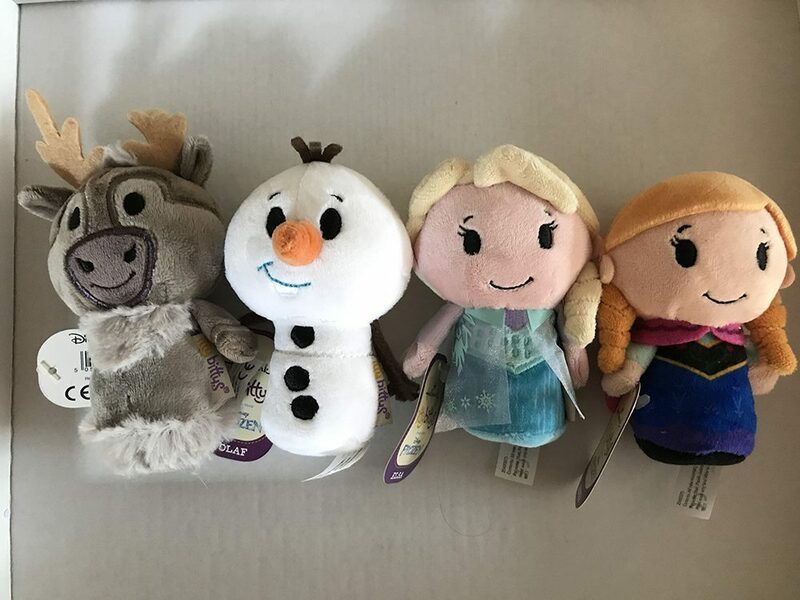 I had never heard of them before but currently they have Disney, Star Wars, Marvel plus well known TV characters however their newest, just launched, range includes 4 Frozen characters; Anna, Elsa, Olaf and Sven. 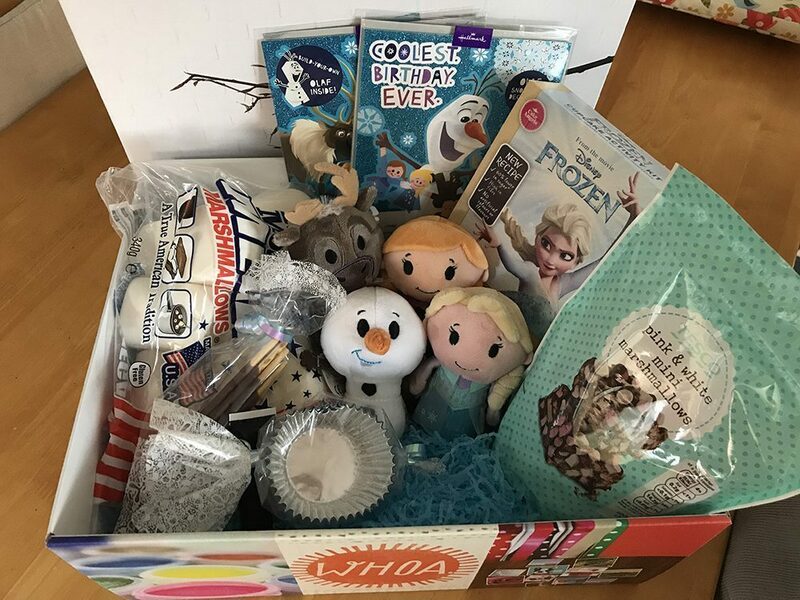 We were sent the range for Mia as well as a magical box containing 2 Frozen Greetings Cards, and everything Mia needed to create Marshmallow Snowmen and Frozen cupcakes! Mia was so excited to receive her magical box of Frozen goodies and she absolutely loves the Itty Bitty Frozen range! The toys are really cute and have already become firm favourites in Mia’ role play games! The day she got them, she took them to meet Grandpa and then the day after they came with us for a family meal so it’s safe to say they have been a winner! They would make really great stocking or Christmas Eve Box fillers for young children. 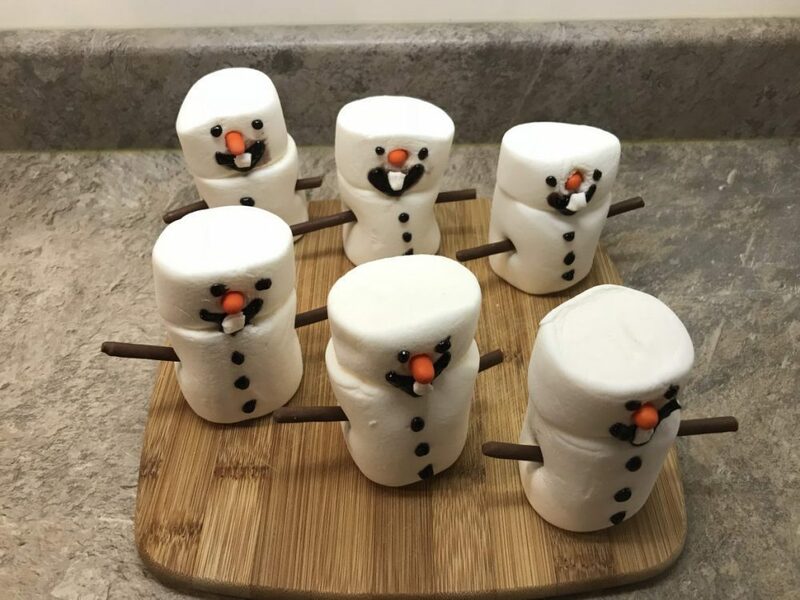 On Friday after school we decided to make the Frozen cupcakes and the Marshmallow Snowmen! 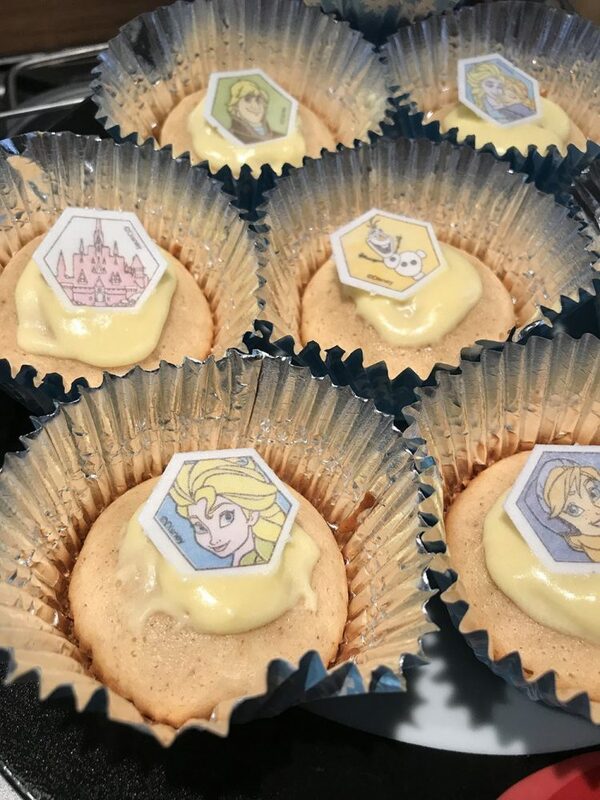 I recognised the box of cupcake mix as we have made them before but these are new and improved as well as being gluten free so I was interested to see how they would taste! 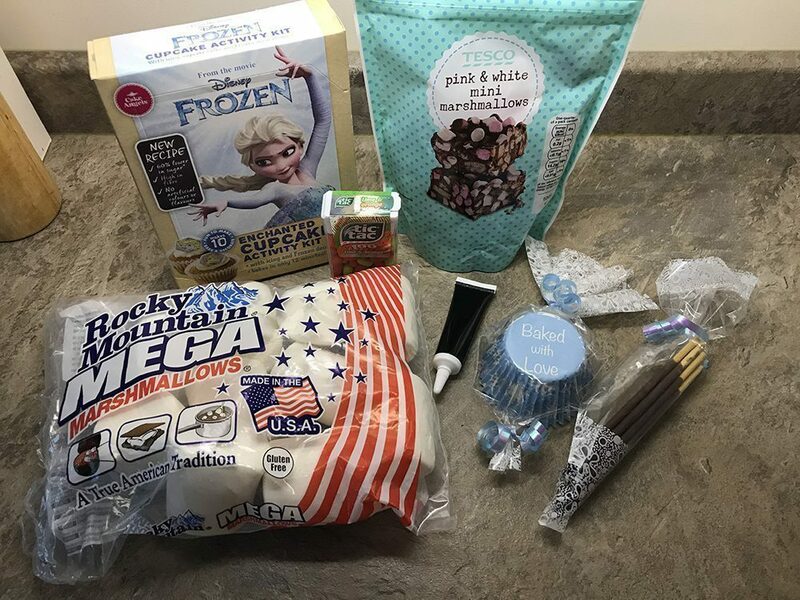 The Frozen cupcakes are really easy to make as everything bar a couple of cupboard staples is included in the box for you. Mia wanted to help stick the wafers on the top and was desperate to eat one straight away so without even waiting for the icing to set, she ate one! They taste really nice and are the perfect size for little packed lunches or snacks. 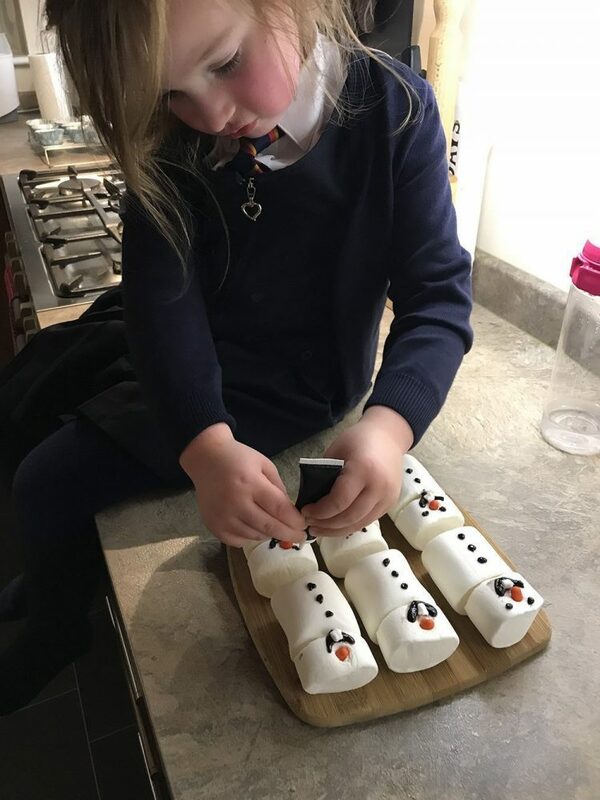 Mia was more interested in making the Marshmallow Snowmen and was really good at using the icing to create their buttons and eyes! They were really fun to make and as I’m not creative in any sense, I think we both did a fairly good job. They kind of look like Snowmen!! Again, they taste lovely but to be fair anything sweet goes down well in our house! We had lots of fun making them and even more fun eating them up! Disclaimer: we were sent the box of goodies in order to write this however all opinions and views are honest and our own. I love these itty bitty toys, they’re brilliant stocking fillers for Christmas.